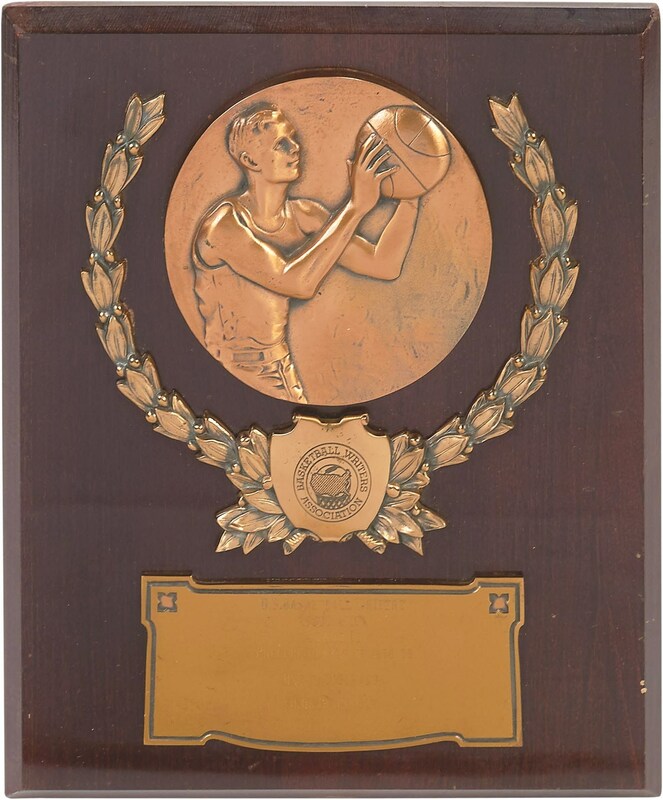 Lot # 8: 1958-59 Oscar Robertson College Player of the Year Award - First Ever! This is another fabulous offering from the collection of Oscar Robertson, and is perhaps the most important. It is significant for a multitude of reasons. 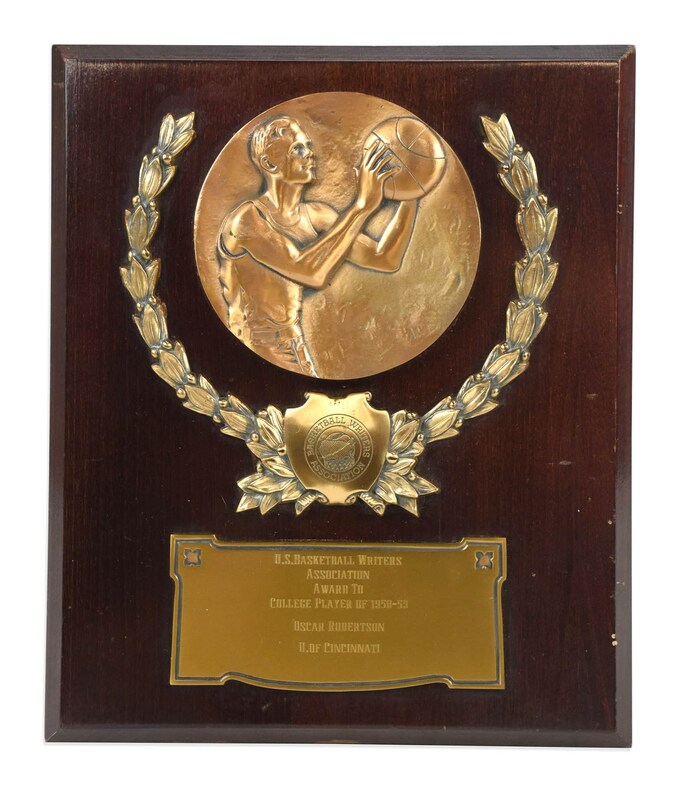 This is the College Player of the Year Award presented to Robertson for the 1958-59 season - the very first year that the United States Basketball Writers Association voted on the best player in all of college basketball, which was the first award of its kind. Solidifying its import is the fact that this award now bears Oscar's name, as he is perhaps one of the greatest college athletes of all time. In three years at the University of Cincinnati, Robertson led the NCAA in scoring, was named an All-American, and was chosen College Player of the Year. In the 1958-59 season, The Big O averaged over 32 points and led the Bearcats to the Final Four. When he left school in 1960, he held the NCAA all-time record for scoring, though it was broken a decade later by Pete Maravich. 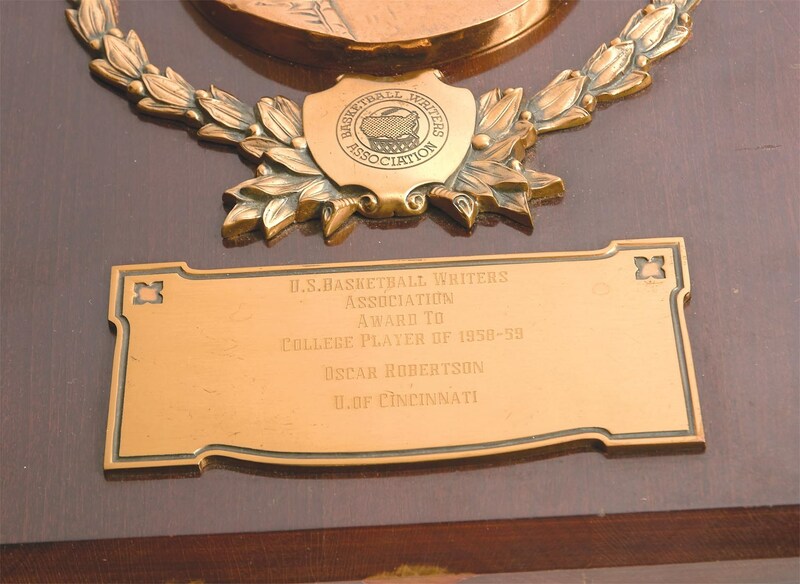 The classic wood plaque with metal applications has a placard at its bottom that reads "U.S. Basketball Writers Association Award to College Player of 1958-59, Oscar Robertson, U. of Cincinnati." It is in EX condition with an L.G. 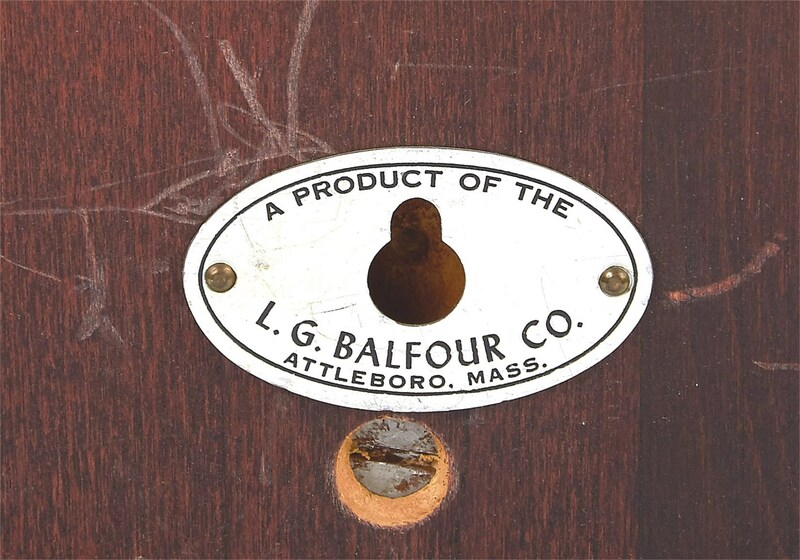 Balfour Co. tag on back. This is one of the most recognized awards in sports and the highest honor for a single player in college basketball.